Auckland continues to be New Zealand’s bold experiment in local government reform. Is the Super City a success, a disappointment or something in between? In 2013 researchers in the School of Social Sciences and Public Policy at AUT set up and ‘populated’ a monitoring framework based on one developed by the Department of Internal Affairs in 2010, and published a report on the results. The report examined various aspects of life in Auckland: its people and communities, democratic participation, the economy, the state of the built and natural environment, transport and other infrastructure, public services, confidence in Auckland’s regional and local governance, and value for money. 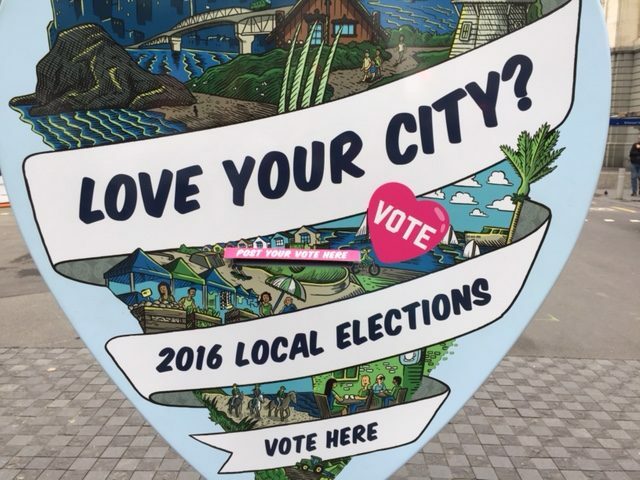 The 2013 framework was again used to survey residents in the lead-up to the 2016 local body elections, focusing on a subjective assessment by Auckland residents. The following discussion includes preliminary results from our 2016 survey, along with information from the recently released 2016 Quality of Life survey which provides a comparison between Aucklanders and residents of other cities in New Zealand, and a wide variety of published data sources from Auckland Council, including the Trust and Reputation survey, Survey of Elected Members and the satisfaction with services results from the most recent Annual Report. The persistence of inequalities and the deepening structural divide between parts of Auckland in employment, health outcomes, wellbeing and prosperity. However, our survey of Auckland residents carried out in September and early October 2016 revealed that the most pressing current issues for Auckland, were (in order of importance): crime and safety; housing; roading congestion; rates; the Auckland economy; public transport; and social issues. Most respondents continue to think that the reforms to local government structures have made little difference (so far) to either the region as a whole or their local community. About a quarter of Aucklanders felt the reforms have been beneficial for both the region and their local community. Under two-thirds of respondents had heard of the Council’s planning process and only fifteen percent claimed a high degree of familiarity it (nearly one-third claimed some acquaintance). When asked whether these plans (such as the Auckland Plan and the Unitary Plan) are right for Auckland, over a quarter agreed. Confidence in Auckland’s system of government was mixed, with10% reporting high confidence, just under one quarter reporting confidence, around 16 percent reporting a lack of confidence. Len Brown’s leadership in the Auckland region was no longer positively evaluated with only a quarter of respondents feeling he had been an effective leader during his second term. Only a fifth of Aucklanders felt they got value for their rates. A third of Aucklanders felt that Auckland Council is too powerful and that central government needs more power, a quarter felt that central government is too powerful and the remaining 45% felt the balance was about right. Aucklanders were split in thinking the number of local boards was about right while the rest thought there were too many. There was negligible support for an increase in local boards. The Quality of Life survey results for 2016 enable comparisons between Aucklanders and residents in other New Zealand cities. Just over 80 percent of Aucklanders rate their quality of life positively. Just under a quarter (23 percent) of respondents living in Auckland said their quality of life had increased compared to 12 months prior, with 3 percent saying it had increased significantly. Aucklanders tend to rate their standard of living slightly lower than other New Zealanders, 48 percent as high/fairly high versus 50 percent. A related measure of satisfaction with standard of living has a similar proportion, 80 percent versus 82 percent, and more Aucklanders claim they do not have enough money compared to residents of other localities in the survey. Aucklanders’ attitude towards their city is similarly positive (79%) as that of residents in other New Zealand cities, and concerns about various nuisances in their own neighbourhood less negative. However, of particular concern is the repeated finding that only half of Aucklanders felt that cultural diversity makes their area a better place to live, while non-Aucklanders are more positive. Auckland Council’s provision of a range of public services across planning and regulatory services, community, arts and recreation services, infrastructure services and asset management and economic development, appears to be satisfactory and improving, according to Council information and ratings by residents. Access to and satisfaction with community, arts and recreation services are important factors in influencing notions of liveability for Auckland residents. These provide the opportunities and space for recreational enjoyment, community interaction, connectivity and support, and the development of social capital. The vast majority of Auckland residents report high ease of access to local facilities. Two thirds of Aucklanders are satisfied that there are opportunities to participate in arts-related activities. Satisfaction with Council community halls and community centres is very high. Satisfaction of users with Auckland’s region-wide facilities was high across all facilities, but had some variations in terms of satisfaction with and access to facilities, and in the social outcomes reported. Nearly half of Aucklanders consider public transport affordable, but as with safety of public transport (at 73%), ease of access (65%), reliability (46%) and frequency (50%), satisfactions run lower than for other centers. There were no great changes in the public’s subjective responses on life in Auckland from 2013 and 2016. People are generally happy with their quality of life in the city, and enjoy the public services provided by the Council. Despite this, there are low levels of support for the outgoing Mayor and the Council’s structures, processes and value for money, and support for local government in Auckland is lower than in other centers surveyed. Many of the issues Aucklanders are concerned about – such as crime, housing and roading congestion – are not solely the Council’s fault or purview to solve and will depend, in part, on central government willingness to invest in the region. Charles Crothers is Professor of Sociology in the Department of Social Sciences at AUT. 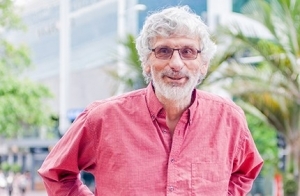 He co-edits New Zealand Sociology and is a past President of the New Zealand Sociological Association. His areas of research include studying the linkages holding social structures together over time, which has involved studying topics such as voluntary organisations (NGOs), social class, neo-liberalism and its effects, economic power structures, occupations, organisations, communities, households, networks, life events, ideologies, voting, internet involvements, quality of life and the ideologies and knowledge held within societies about themselves. Charles researches Auckland and whether the Super City structure is working.